That hissing sound you just heard is more air coming out of the bubble in the global bond market. From Germany to the U.S., fixed income prices tanked last week, sending yields way up. Investors are betting on higher rates after mounting evidence that the U.S. economy is bouncing back from a first quarter slump. Just look at Friday's report showing the U.S. economy added 280,000 jobs in May: Anything over 200,000 is good. Anything over 250,000 is excellent. 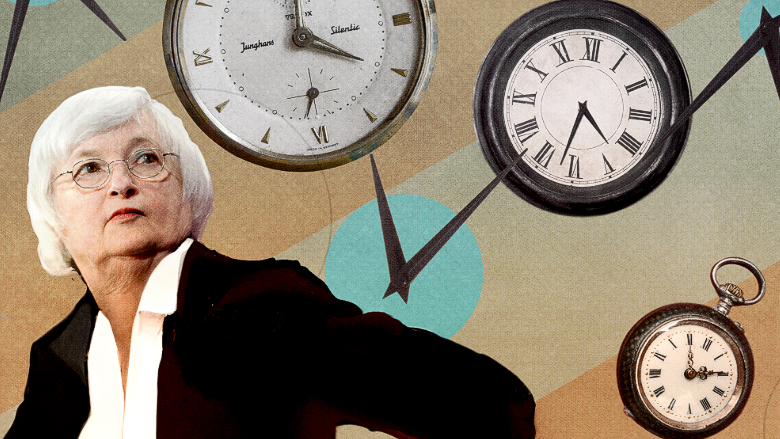 The clock is now ticking on Janet Yellen and her Fed colleagues to act -- before the bond market acts for them. "Central bank interest rate suppression has reached its limit. The U.S. Treasury market ... is calling out the Fed. Are they listening?" Peter Boockvar, chief market analyst at The Lindsey Group, wrote in a note to clients. Time for liftoff? Just look at the rout in the market for government debt. Ten-year German bund yields nearly doubled last week to 0.85%. 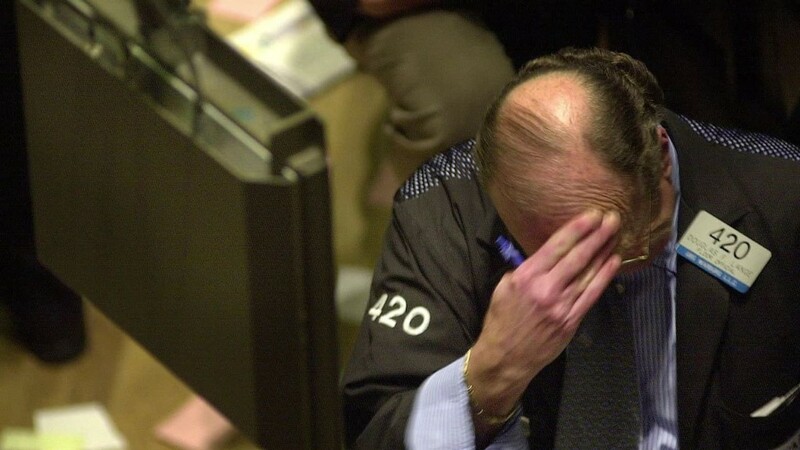 That means bond prices fell a lot. In the U.S., the 10-year Treasury yield surged to a 2015 high of 2.44% on Friday. That's up dramatically from just 2.13% the week before. In other words, the bond markets are already "raising rates," albeit to levels that are still pretty tame. "The markets have imposed 'liftoff' already, ahead of the Fed's likely move this fall," Greg Valliere, chief political strategist at Potomac Research Group, wrote in a note to clients. Investors are yanking cash out of the fixed income market. Government bonds experienced a sixth-straight week of outflows, according to Bank of America Merrill Lynch. Emerging market debt, a big beneficiary of extremely low U.S. interest rates, suffered the biggest outflow in nearly five months. The good news is the stock market weathered the storm admirably. The S&P 500 retreated less than 1% last week and remains in striking distance of all-time highs. "The market isn't going bonkers," said Marc Chandler, global head of currency strategy at Brown Brothers Harriman. Bonds sell-off = better economy: The reason is simple: Investors realize that a good economy can be good for businesses (and stocks) too. There's a lot to celebrate in the latest jobs report. Not only did May payrolls rise by a lot more than expected, but the government raised its estimate for March job gains. Also, the unemployment rate rose to 5.5% for the "right" reasons: A healthier jobs market drew in more potential workers off the sidelines. Incredibly, the 5.6 million jobs created in the past 24 months is greater than the combined total created in the 13 years before, according to BlackRock. "We can clearly see the evidence for an employment landscape that is, arguably, stronger than at any time over the past 20 years," Rick Rieder, chief investment officer of fundamental fixed income at BlackRock, wrote in a note. Wage growth -- the missing link during the last few years of the recovery -- is also showing signs of life. Wages jumped 2.3% in May from the year before, the best rate in nearly two years. 'Window of opportunity' It's not just the labor market that looks better. Closely-watched auto sales revved to the best pace since 2005 in May despite lingering concerns about consumer spending. "It is increasingly clear that the Fed's initial policy rate liftoff should begin in September," Rieder wrote. He believes the Fed has a "window of opportunity to move" given the fact that the markets are stable, payroll growth is robust and foreign central banks in Europe and Japan "are taking the reins of policy accommodation." Forcing the Fed's hand? The problem for the Fed is that it could lose control of the situation -- and risk a loss of credibility -- if it chooses not to act. "Many doves have cited the fact that if the Fed raises rates too soon, and then has to reverse, its credibility could be damaged," Rieder wrote. "We would suggest that when it comes to central banking, credibility cuts both ways."